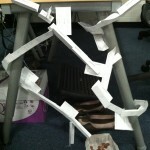 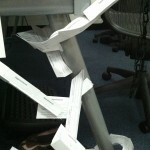 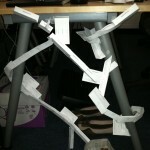 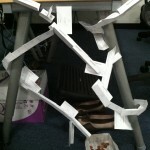 and even more business cards inspired this “coin maze”. 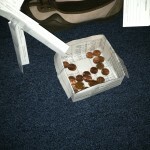 It has two inputs and one switch, for three possible penny trajectories. 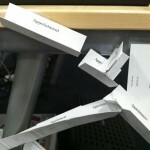 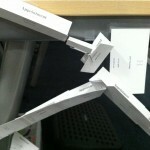 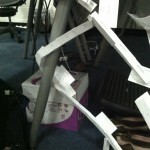 This entry was posted in Life, Projects and tagged business cards, project on December 6, 2012 by hawksley. 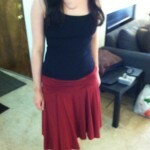 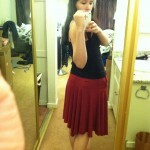 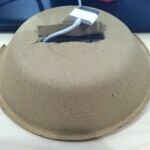 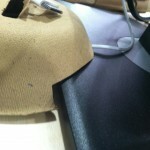 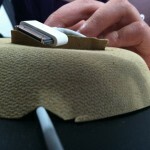 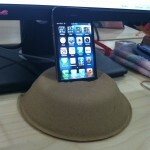 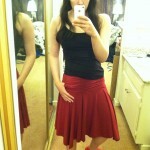 This entry was posted in Life, Projects and tagged projects on May 29, 2012 by hawksley. 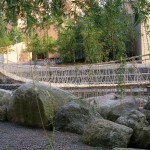 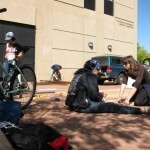 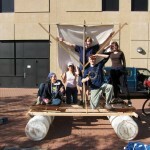 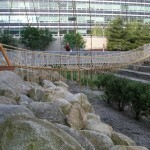 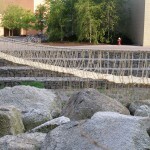 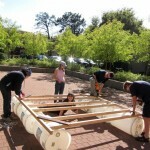 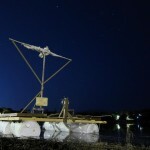 was built by Paul Csonka, Kseniya Charova, Cameron Schaeffer, Jane Huang, and me in April 2011. 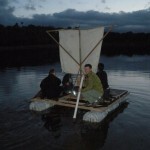 The photos here were taken by Paul Csonka and Lewis Hom. 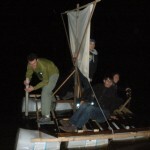 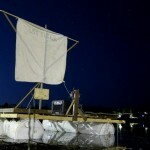 This entry was posted in Life, Projects and tagged project, sailing on April 8, 2012 by hawksley.